Surface tension causes the molecules at the surface of a liquid (such as water) to cling together. 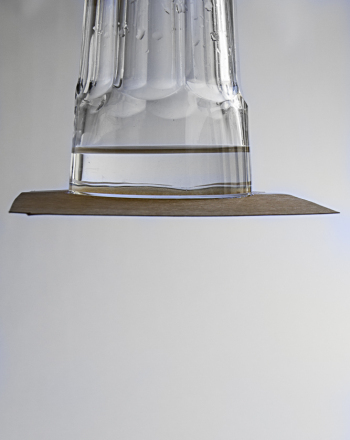 This project examines the effects of soap on the surface tension of water. How does soap affect the surface tension of water? 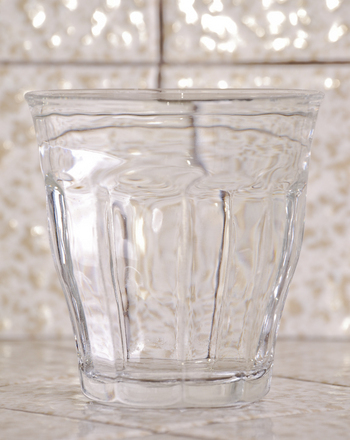 Did you know that the molecules on the surface of a cup of water stick together? This is because of a force called surface tension. 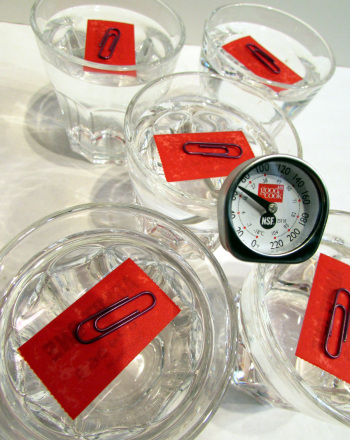 In fact, if you carefully place a paper clip on the surface of a cup of water, it will seem to float because of surface tension. But what happens when a drop of soap hits the water’s skin? Find out with this science project. Fill a plastic cup with water. Dip the dropper into the cup, and suction in some water. 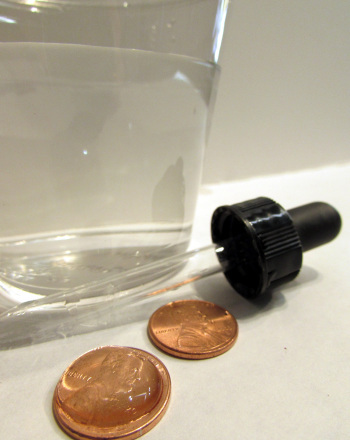 Place drops of water from the dropper onto a penny, counting how many it takes for the water to spill off the penny. This is the number of drops it takes until the surface tension breaks. Repeat this process several times to make sure that you have an accurate count of how many drops it takes to break the surface tension. Dilute the water in the cup with a drop or two of liquid soap. Now see how many drops of water it takes until the water spills off the penny. How can you explain the difference? Terms/Concepts:Surface tension; Water skidder (insect); How does soap interact with water? Experiments With Bubbles, by Robert Gardner. Pp 18-20. What is surface tension? Kids will discover how water-skating insects use surface tension to keep from sinking by making a model water walker. 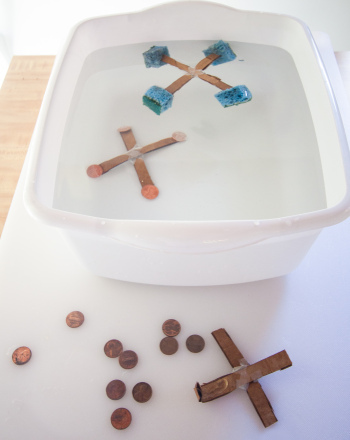 Here's a fun and simple activity to introduce your child to surface tension, and pull an awesome stunt in the process! This project examines the affect of temperature on viscosity and surface tension of different liquids. 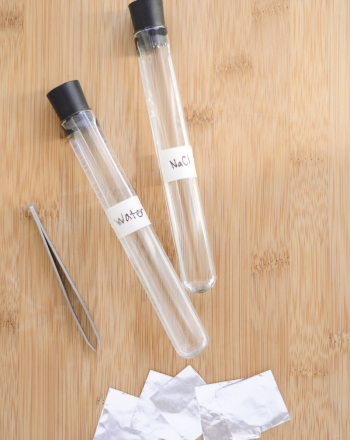 Explore properties of liquids and how temperature and salinity effect surface tension of liquids in this fun- filled science fair project idea. Help your child understand surface tension by showing her how she can create a "skin" on top of water. 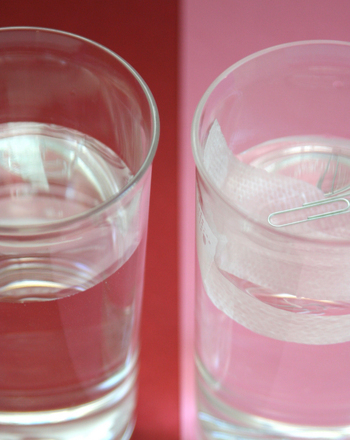 Help your year one scientist understand the concept of surface tension with this simple science experiment. 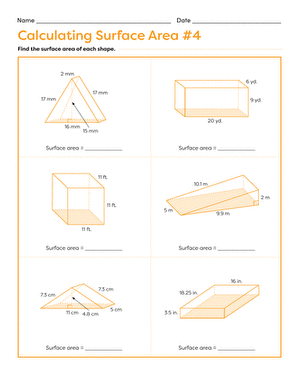 In this boxing match, the box with the most surface area is the winner and your child is the judge! But it's a lot more fun to imagine all of the creatures swimming below the surface. 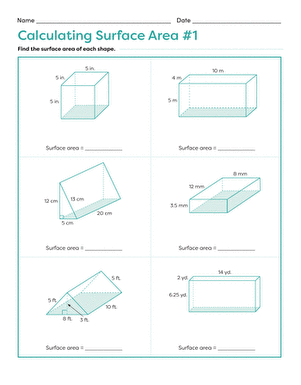 Make surface area fun with this "boxing" match worksheet. Each box has a different surface area, and the biggest box is the winner! 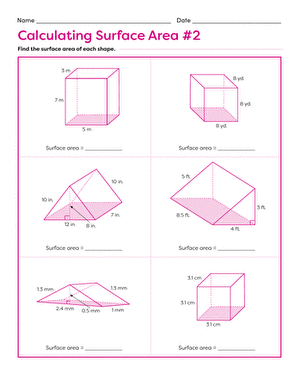 Your child will use his geometry skills to find the surface area of each box, and the one with the most surface area wins!